Shikatani Lacroix was hired to develop a comprehensive and differentiated omni-branch strategy, leveraging the Regions 360 approach and the most relevant customer engaging technologies and branded experience, to deliver outstanding customer advice, proactive guidance, holistic sales and relevant service. 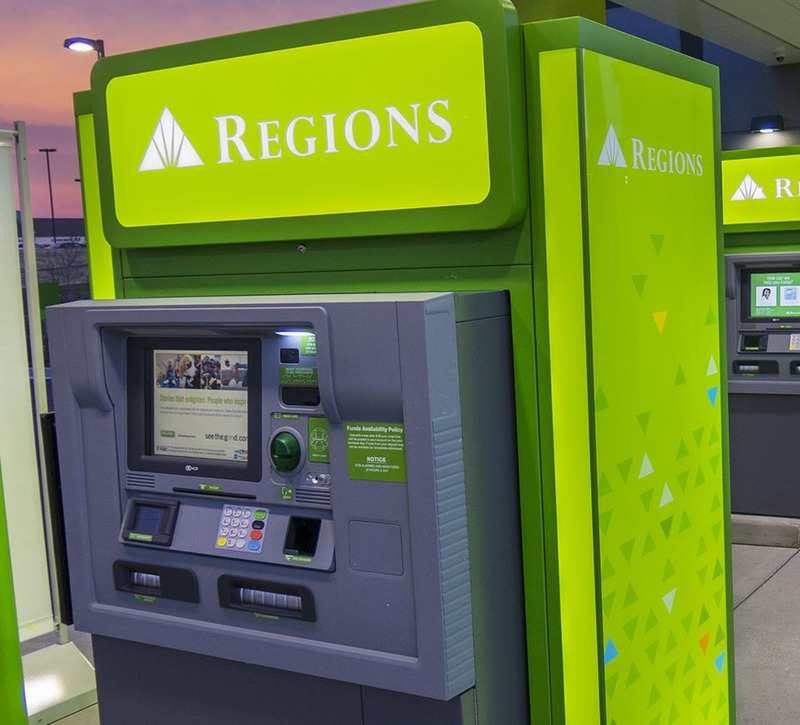 Regions Financial Corporation (formerly known as First Alabama Bancshares) was founded in 1971. It is a U.S. bank and financial services company headquartered in Birmingham, Alabama. As a publically traded company, it is a member of the S&P 500 Index. 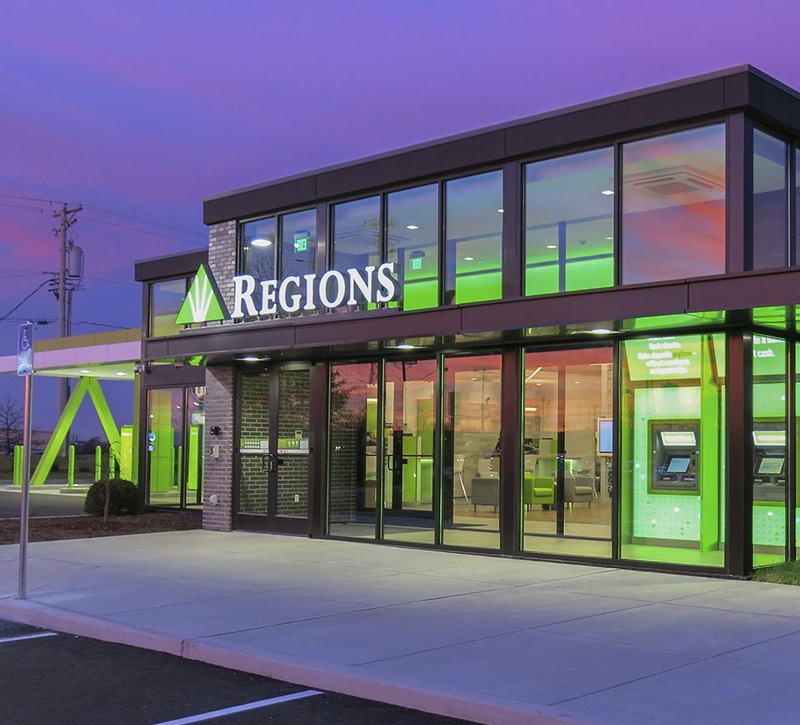 Regions provides a number of services including retail and commercial banking, trust, securities brokerage, and mortgage and insurance products. By 2012, Regions had $122 billion in assets. 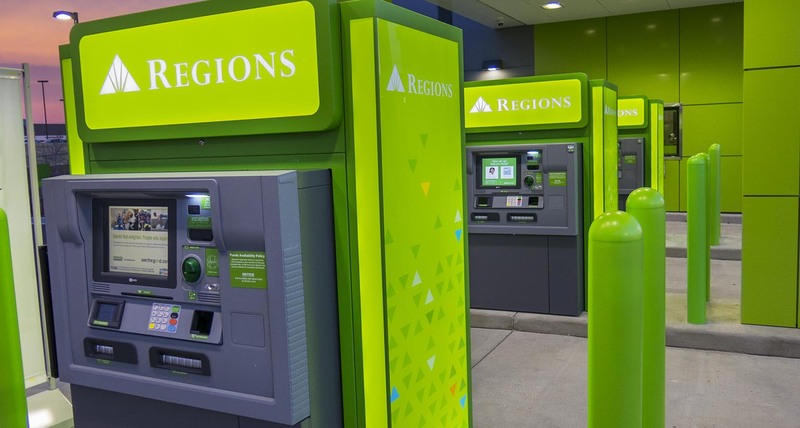 Its banking subsidiary, Regions Bank, operates approximately 1,700 branches and 2,400 ATMs across a 16-state network in the South, Midwest, and Texas. Shikatani Lacroix Design was challenged to redefine the branch network value proposition in order to efficiently engage customers through relevant conversations and empowered frontline staff across the full range of product and service offerings. 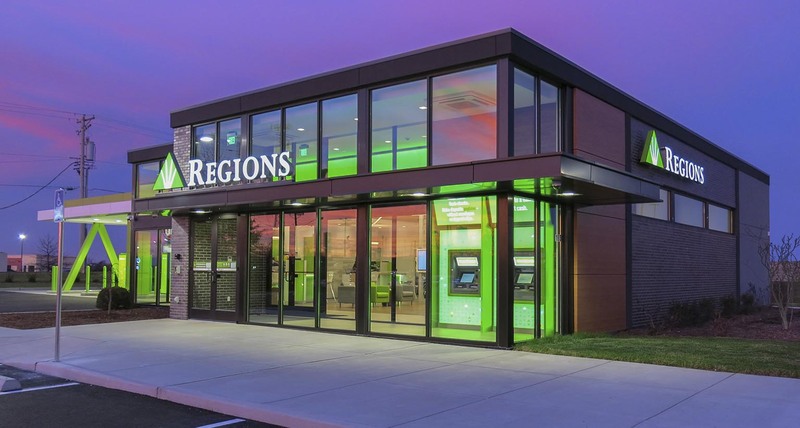 Regions current branch design was more than 15 years old and had not remained relevant with the changing consumer banking behaviours while the shift toward online and mobile banking was challenging the current retail distribution business model and cost structure of the organization. 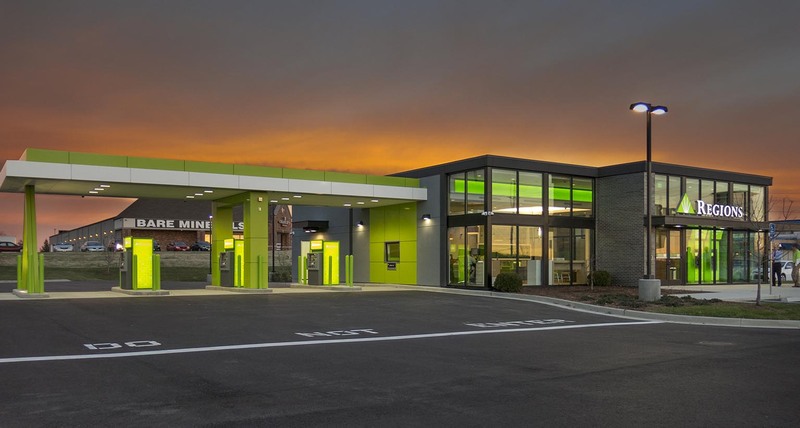 Shikatani Lacroix Design was hired to redesign the current Regions Bank brand experience, from revamping the overall channel asset strategy and defining the size and configuration of the branches, to rethinking the merchandising approach and the overall digital experience. 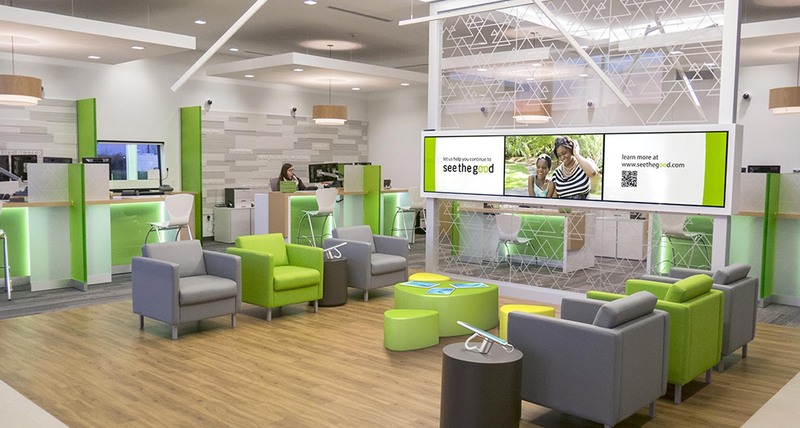 SLD was asked to develop a branch of the future to support the Regions Bank position and design a branded experience that would be cost effectively retrofitted to existing and new branches. SLD had to identify the ideal exterior and interior experience for both staff and customers and demonstrate how the new branch design would apply to a hub and spoke strategy. 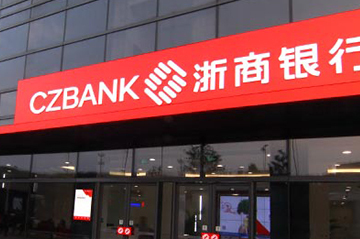 Designs had to take into consideration the various types of customers and transactions (drive-thru, ATM, daily banking, business banking, mortgages, loans and wealth management). Most importantly, SLD had to ensure a consistent implementation across the Regions Bank branch network. Prior to undertaking the redesign, SLD began by defining the Brand DNA. 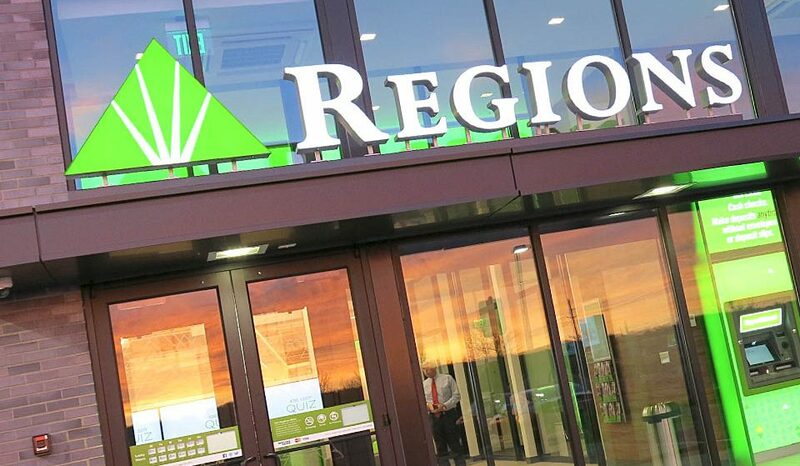 Regions’ vision is to be a high performing regional bank that provides high levels of customer service. Its values/personality is to put people first and focus on the customer, do what is right, reach higher and enjoy life. In terms of the value proposition, Regions is committed to offering stability, an easier way to bank and the expertise and personal service customers expect. Its four pillars are stability, ease, expertise and service. 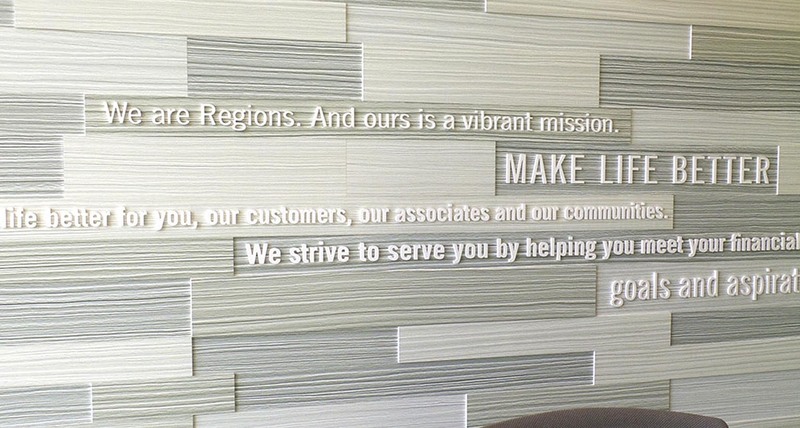 Its mission is to make life better for Regions customers, associates and surrounding communities. The design needed to reflect Regions’ brand DNA, taking into consideration the three key levers of change: message, process and structure. In addition, SLD developed an extensive business review and evaluated each brand moment of truth through its unique, ideal, omni-experience engagement model. The first phase included fact-finding and experiential design development. It identified the opportunities for both the customer and the branch staff in addition to confirming the key performance metrics the final design needed to achieve. The outcomes of this phase identified key insights and created strong alignment on the opportunities that drove owning the moment of truth for the program. After SLD defined the brand through a consultative and collaborative process, we interviewed over 50 executives to gain insight on what management believed would be the greatest challenges or barriers to the brand design, as well as how they would change the process, structure and messaging of their branches. The second phase included design specifications and it defined the experience for both the physical and the digital platforms. 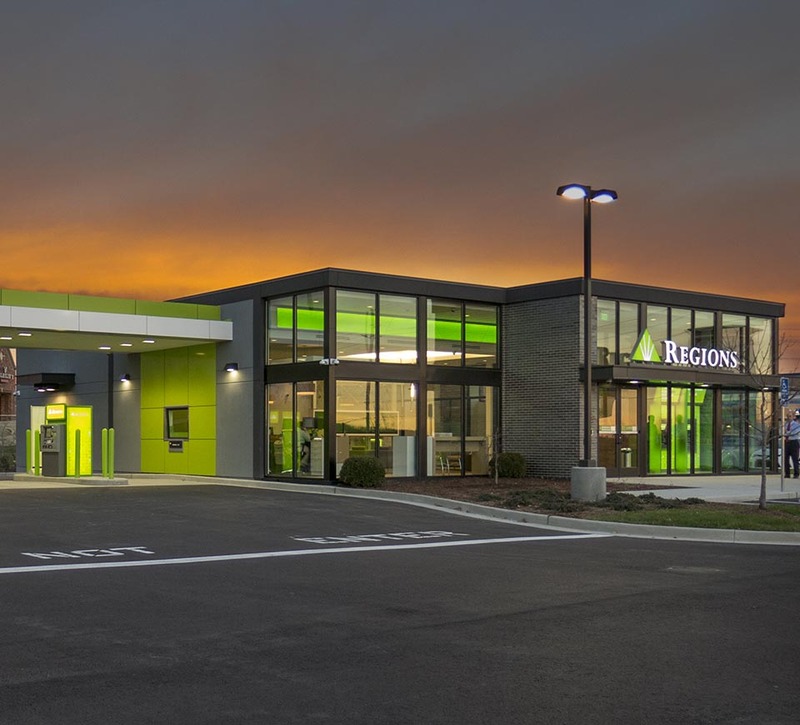 The key outcomes of this phase were to visualize the future and its application to Regions Bank retail asset base, while providing a strong understanding of the supporting engagement requirements across the entire organization. 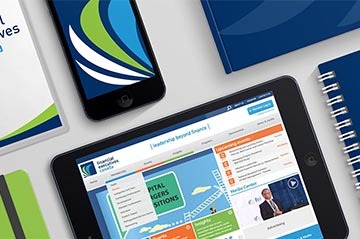 To develop a strong experiential strategy for the Regions rebrand, SLD set up an ideation session with cross-functional Regions’ stakeholders where a wide range of customer banking experiences were explored. This was a forum to consider and explore all potential options, from the expected to the unexpected in order to arrive at a range of research worthy ideas. Finally, phase three included the initiation of the prototype, an extensive channel strategy that explored more than ten different types of delivery platforms and a detailed 150-page game plan document that included the new brand standards, physical assets, digital experience and sales choreography engagement requirements. A key component of the program was the linkage between the conventional and the digital platforms. SLD developed an extensive digital strategy, assisted in developing the specification and vendor packaging, and provided initial templates and digital content. The key outcomes of this phase further validated the branch of the future program though the use of ethnographic research, taking into consideration the field dynamics, while providing a strong platform for consistent implementation. The redesign stage was divided into three sections: structure, message and process. Create designated knowledge cues and zones to reinforce expertise and knowledge. Leverage the most current interactive and digital portable tools to break down the barriers between customers and associates. Create messaging and signing that drives Regions 360 customer benefits as part of their financial life. Ensure flexibility and modularity of the design to ensure a consistent delivery across the entire network. Create a platform to learn and evolve the branch experience as part of test branches that reduce the risk of misalignment in the market. Ensure signing is flexible and easy to promote at key decision points in the branch. Regions must move from product centric messaging to one that introduces the benefits of Regions 360 in customer terms. Develop a communication strategy that reinforces the value proposition of the branch and its ease of use, while simultaneously creating a community message program that drives emotional equity for Regions. Create a flexible and proactive customer engagement model. Foster a culture and process that supports “360 Discussions” as part of a seamless integration of the various businesses in a branch. Overcome hurdles to how customers embrace change and digital technology. The branch design, layout, and merchandising were developed to deliver the “Make life better” brand promise. The desired brand attributes to be communicated included stability, ease, expertise and service. 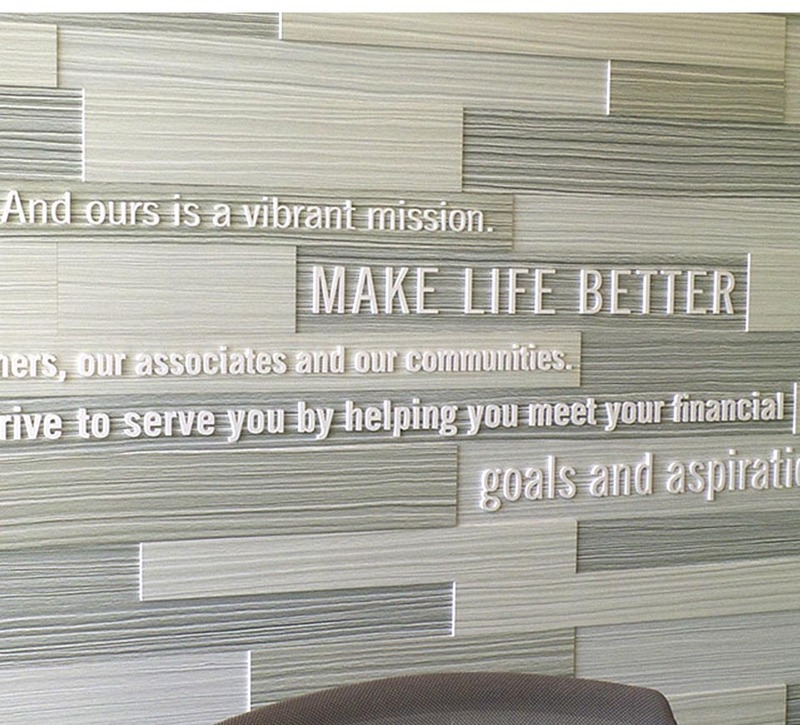 The branch was designed to be a high performing regional bank that provides high levels of customer service. The design intent was to deliver Regions’ mission to make life better for its customers, associates and surrounding communities. The digital technology meets the needs of customers by delivering a consistent branded customer experience at various moments of truth throughout the branch – an interactive multi-touch digital screen promotes Regions social and community causes, providing a strong message of the bank’s commitment to the local community; iPads in the waiting area and at the coffee bar showcase the brand’s latest products and services; exterior signage also provides clarity on the range of services being offered. 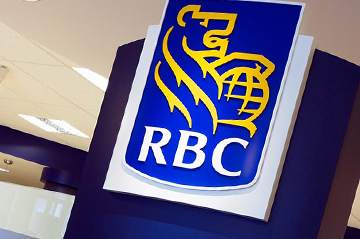 The exterior design is inviting with large windows showcasing various areas of the branch and 24-hr ATMs featuring digital signs visible from the street. The interior is open with clear sight lines to key areas of the branch, making navigation expedient and intuitive for customers. 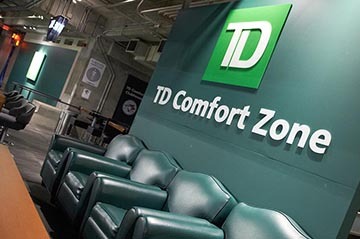 Customers can wait in the cozy and appealing waiting area in the center of the branch. The teller line has been replaced with semi-private Universal Banker stations with a stool for customers conducting longer transactions. Fully private meeting rooms are also available. A drive-thru provides staffed and non-staffed options for convenient transactions on the go. 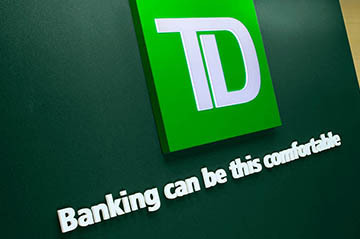 The integration of the digital experience as part of the branch included an interactive multi-touchscreen video wall and iPads in the waiting area and coffee bar to educate customers about products and services; video conferencing screens in private meeting rooms provide access to off-site specialists; exterior windows provide sight lines to digital screens above live assistance video ATMs, which draw in traffic. The design allows for ease of scalability across various branch configurations. The flexibility and modularity of the design ensures consistent delivery across the entire network. Integrated customer facing digital signage allows for dynamic, engaging and customizable brand messaging. Interactive digital portable tools break down barriers between customers and associates. The visually accessible, open and transparent retail feel gives customers a sense of security and comfort while banking. There are public (ATMs), private and semi-private options offering the customer convenience and flexibility depending on the level of service required. The ultimate process resulted in the development of an extensive field guide to assist in the effective implementation of all facets of the program. In addition, three prototypes were developed to further validate the concept while identifying implementation cost efficiencies – the first prototype is located in St. Louis, Missouri. 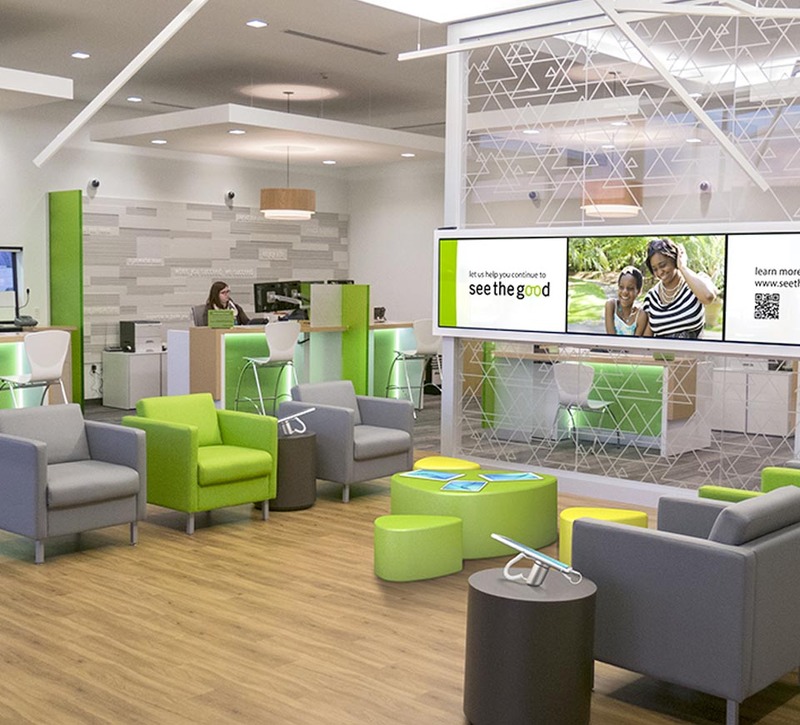 The new branch design met the key performance metrics of better engaging customers and increasing its visibility, while driving deeper relationships with customers.